Dutton-Goldfield 2016 Pinot Noir: Whoa Nelly! 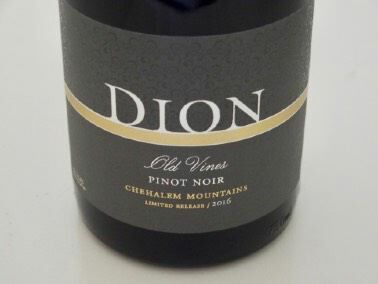 DION Vineyard consists of 60 acres of Pinot Noir, Pinot Gris and Chardonnay located in the northern end of the Chehalem Mountains appellation of the Willamette Valley. The vineyard has been farmed by three generations and some of the Pinot Noir vines, rooted in Laurelwood soil, are 40 years old (Old Vine Block). A majority of the vineyard is planted to Pinot Noir and includes the clones of Pommard, 115, 114, 113, 667 and 777 of varying ages and rootstocks. 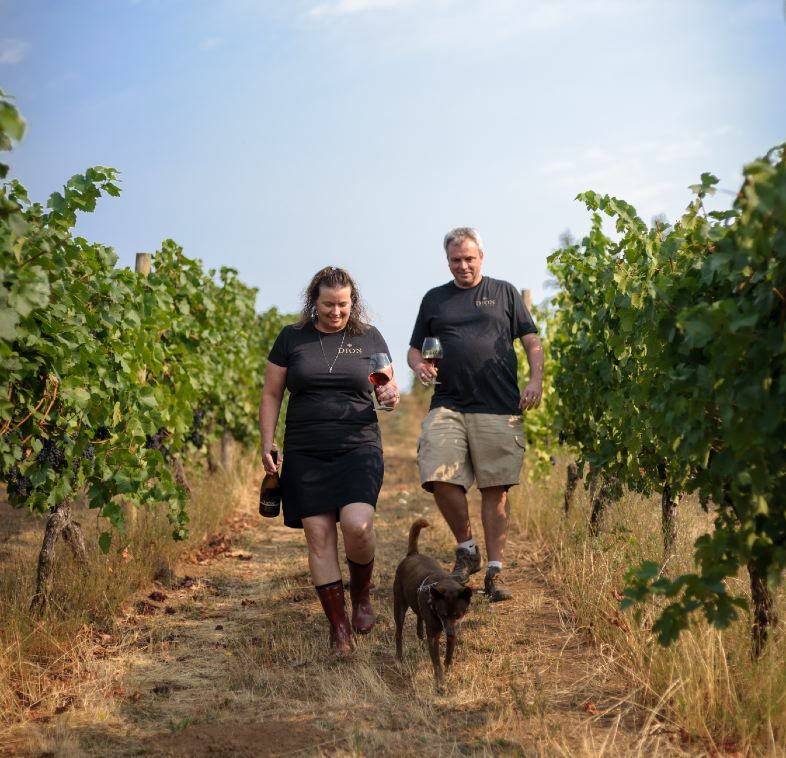 Today, husband and wife winemakers Kevin Dion Johnson and Beth Klinger operate the vineyard, supplying grapes to wineries throughout Oregon, and producing about 1,000 cases of wine under the DION Vineyard label. Photo credits to Paul Cunningham. 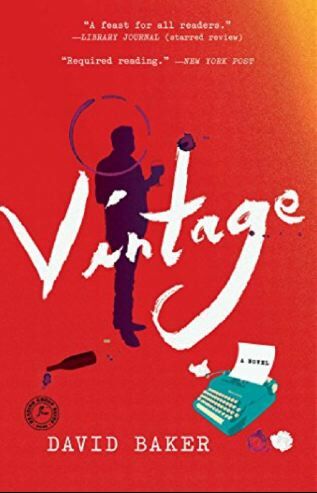 Beth remarked that 2016 was potentially her favorite vintage ever because “the acids are distinct, ferments were beautiful, and we were able to do half of the ferments spontaneously.” Closures were changed for the 2016 vintage, with the Chehalem Mountains Pinot Noir bottled under screw cap and the Reserve and Old Vines closed using DIAM corks. This was done to avoid bottle variation and improve the overall consistent quality of the wines. The three 2016 Pinot Noir wines reviewed here were truly exceptional and reflect the fact that the 2016 vintage in Oregon was special for many wineries. 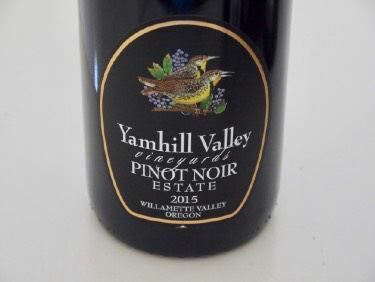 I personally prefer the 2016 Willamette Valley Pinot Noirs over every vintage since 2012. 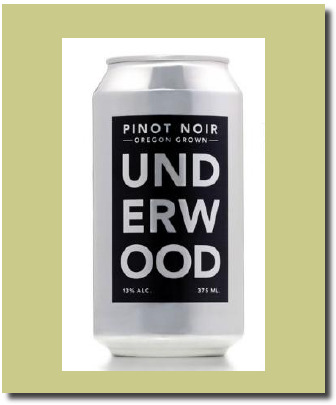 The Old Vines Special Release may well be the best Oregon Pinot Noir I tasted in 2018. The wines of DION Vineyard are available for tasting at the winery’s tasting room in Cornelius, Oregon, Friday- Sunday from April to November or by appointment. The website is www.dionvineyard.com. Contact the winery directly to purchase these wines that represent outstanding value. Some older vintage Pinot Noir wines are available as well. 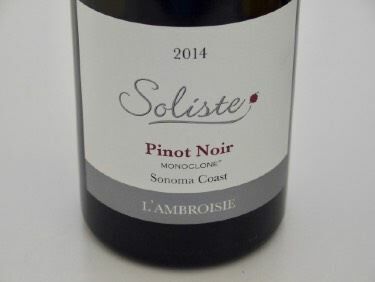 I had the opportunity to taste the 2014 Soliste Monoclone® Sonoma Coast Pinot Noirs three times, twice at home using my usual tasting regimen and once over lunch with winemaker Claude “Frenchy” Koeberle (a native of Burgundy). Claude is the only person I know who loves Pinot Noir more than me! Read the full story on Soliste, the PinotFile 2013 Winery of the Year, at www.princeofpinot.com/article/1461/. The 2014 vintage began with a moderate winter and an earlier start. A cool spring led to a good fruit set. A temperate, gentle growing season ensued so it was possible to nurture complexity and concentration along with quality in the vineyards. Although California’s persistent drought was concerning in parts of the state, the cool, coastal sites used in Soliste wines remained unaffected with some vineyards dry farmed. The reviewed wines represent the winery’s September 2018 release. Even at four years after harvest, these are young wines and benefit from decanting if opened now. Production is very limited by choice and the wines are sold exclusively through an allocated mailing list. The single barrel releases are for loyal supporters of the winery and in some cases, are restaurant only releases. The winery also offers superb Lake County Sauvignon Blanc (St. Andelain, a tribute to Didier Dagueneau). 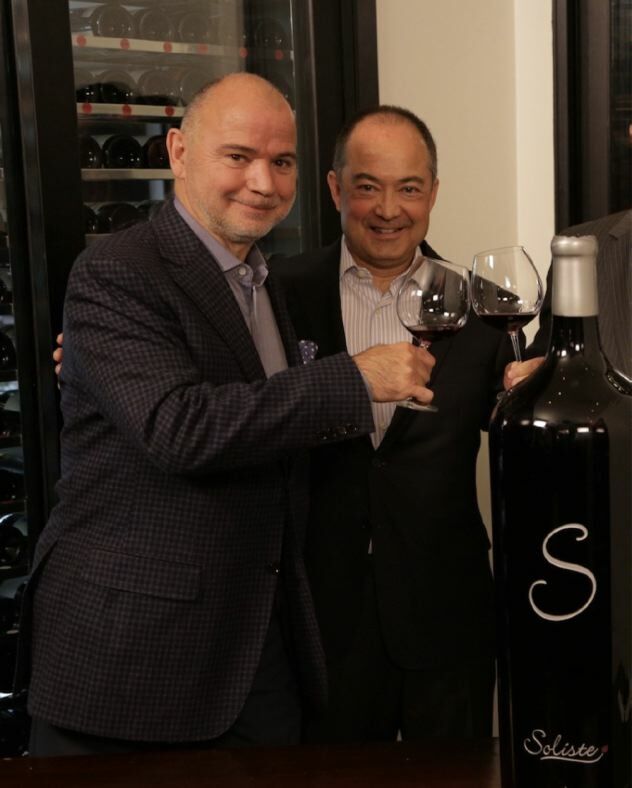 Soliste wines are available at many restaurant partners in California, Las Vegas, Chicago, New York and Washington D.C.. Private tastings can be arranged by appointment at the Santa Rosa production facility. Visit the winery’s website at www.soliste.com. All the following wines were meticulously crafted. Grapes were hand-harvested at midnight from September 6 to September 18. Multiple, often four, passes were done on different days to capture different levels of grape maturation. Only manual punchdowns were used. 777 Monoclone®. 50% whole cluster. Aged 28 months in one new French oak barrel. Not reviewed. 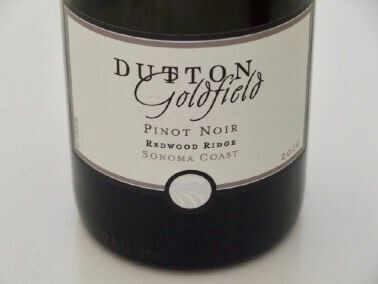 I recently sampled ten Dutton-Goldfield Pinot Noir wines from the 2016 vintage and was awed that every single wine in the lineup was superb.. Year in and year out, the team of winemaker Dan Goldfield and winegrower Steve Dutton produces wines of consistent excellence so this tasting was no surprise. As a group, this lineup of Pinot Noirs was the best I have ever tasted from Dutton-Goldfield. Steve Dutton is a fifth-generation farmer whose father Warren Dutton pioneered the growing of grapes in the western reaches of the Russian River Valley in the mid-1960s. Steve joined the Dutton Ranch team full-time in 1987 and now manages the family business that has grown to over 80 vineyards comprising more than 1,000 acres throughout the western Russian River Valley. Dutton-Goldfield does not source grapes exclusively from Dutton Ranch vineyards but these vineyards form the core of the lineup. Winemaker Dan Goldfield gained his reputation for Burgundian-focused wines while working at La Crema and later Hartford Court. He joined Steve on a handshake in a vineyard in 1998 and they established a winery that today is among California’s best producers of cool climate varietals. 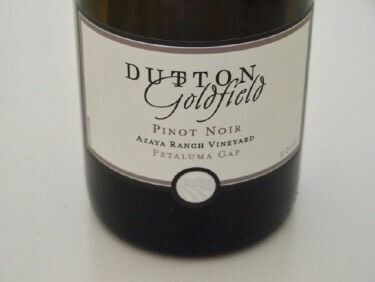 His winemaking regimen for Pinot Noir is explained fully in the “In the Cellar with Dan” section of the website at www.duttongoldfield.com. 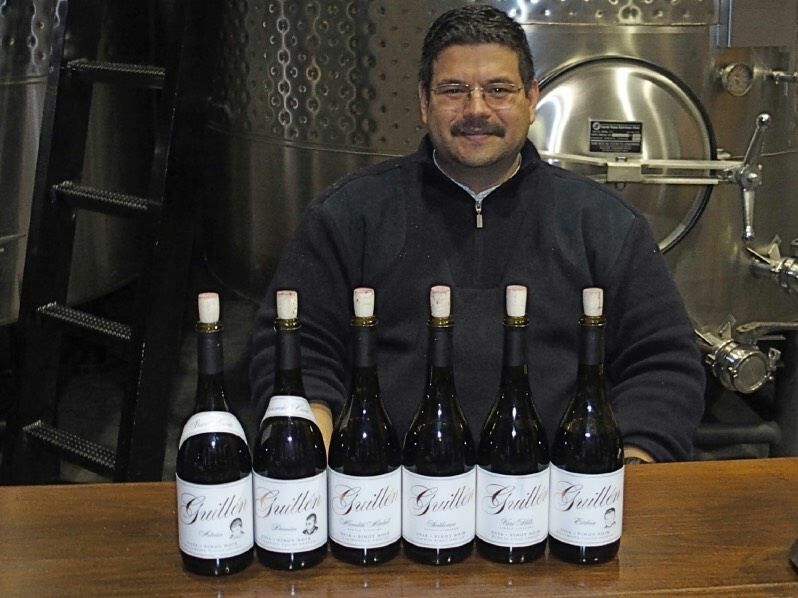 Unlike the single cooperage Pinot Noir wines of Soliste reviewed in this issue, the Dutton-Goldfield Pinot Noir wines are vinified using an array of barrels for each of the single-vineyard wines. Dan purchased barrels from nine different coopers for the 2015 vintage. The Pinot Noirs often undergo a spring “rack and back” to choose the barrel array for the final aging of the wines. 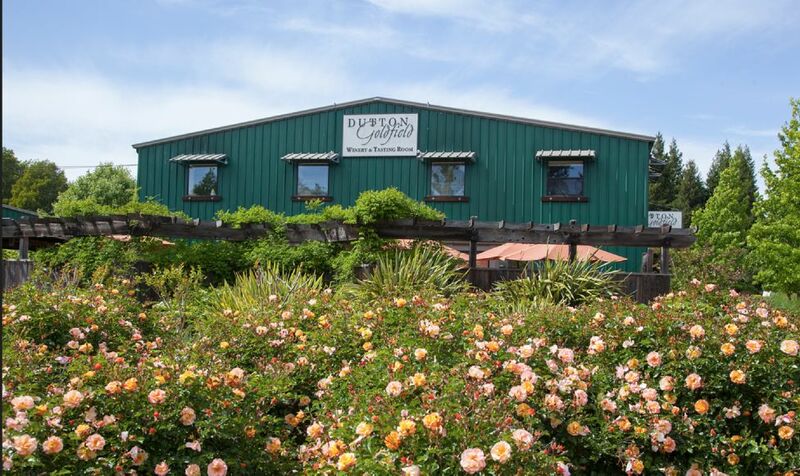 The Dutton-Goldfield Tasting Room in Graton is open daily, offering several tasting experiences that can be booked online. In the Tasting Room, the winery just celebrated its 20th anniversary with a Harvest Party. Many of the wines are available for purchase on the winery’s website. Magnums are available. The wines reviewed here represent the nine 2016 single-vineyard Pinot Noirs and one blended Pinot Noir called Deviate. The Docker Hill Vineyard in Comptche in Mendocino County is a new addition to the Dutton- Goldfield lineup. Dan looks for exotic vineyard sites farmed by people with unique personalities and this addition fit that goal. 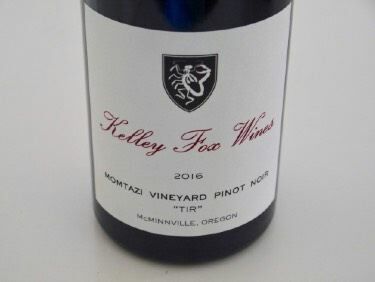 Kelley Fox was the winemaker for Scott Paul Wines for ten years (2005-2015), during which time she launched her own label that focuses on small lots of Pinot Noir from the Momtazi and Maresh vineyards. The Momtazi wines tend to feature deeper color, more extraction, more tannin and richer dark fruit flavor. The Maresh wines tend to be more delicate with red fruit aromas and flavors. 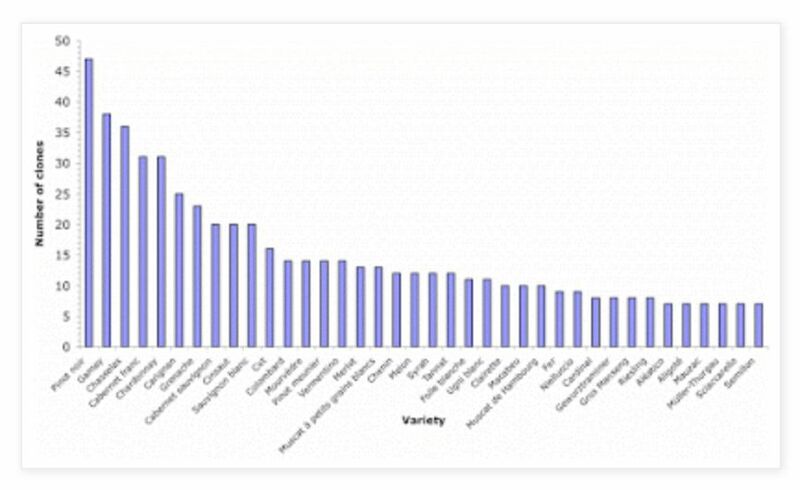 Since 2015, Fox’s Pinot Noir wines contain all whole clusters. She uses neutral oak only, striving for unadorned character. The wines are sold through a mailing list and on the website at www.kelleyfoxwines.com. Kingston is a boutique winery located on a farm that has been family-owned for a century The winery produces Pinot Noir, Chardonnay, Syrah and Sauvignon Blanc from estate vineyards in Casablanca, Chile. Winemaker Adam Lee’s 25th harvest. The following wines represent the southernmost regions and vineyards in the winery’s “West Coast Pinot Noir” portfolio. Adam has made Pinot Noir from the Santa Lucia Highlands since 1997 and from the Sta. Rita Hills since 2000. 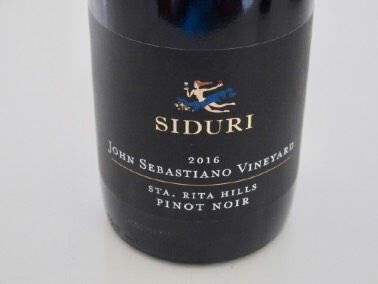 The wines are available via a mailing list and on the website at www.siduri.com, as well as at the Siduri Tasting Room in Santa Rosa, the winery’s Wine Lounge in Healdsburg, and through distribution to select wine retailers and restaurants nationally. I have been a member of the mailing list of this highly-regarded winery for over 25 years but have not sampled the wines since the 2013 vintage. I acquired three bottles from the 2016 vintage fall offering to taste and the wines are reviewed here. Needless to say, I was disappointed, especially at the price point of these wines. Williams Selyem wines are sold exclusively through a mailing list. Private tours and tastings are available by advanced appointment to list members and their guests only. The website is www.williamsselyem.com. 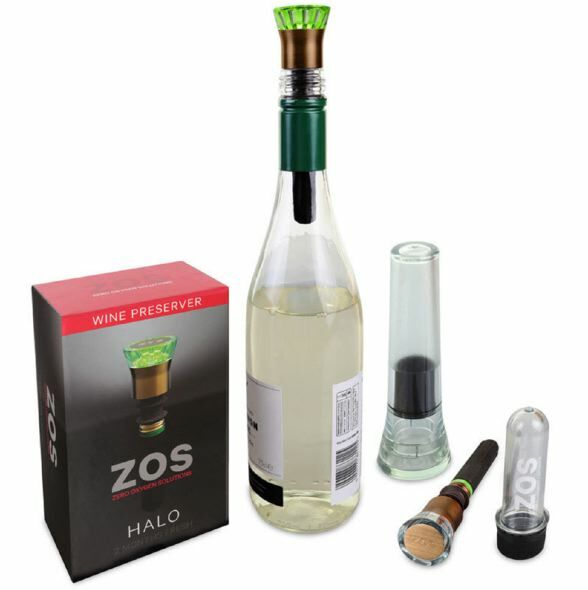 A recent article in the Wall Street Journal about a short list of things that desperately need to be ‘de-invented” got me to thinking about things in the world of wine that should have never been invented. 9 Wine preservation systems - can’t we just stick a cork in it and finish the bottle the next day?